﻿ ..:: Make Stuff ::..
Want to make more cool stuff like this? Check your local library or bookstore for these awesome books. You don’t have to look far to find fun magic props. Everyday stuff like toothpicks, bananas, and balloons make great props. Learn how to perform real tricks using items found around the house. Then amaze friends and family with tricks like The Disappearing Toothpick and Banana Split. Want to read this book? Check out your local library or bookstore. Don’t just throw your spare change in a piggy bank. Use it to perform cool coin tricks. 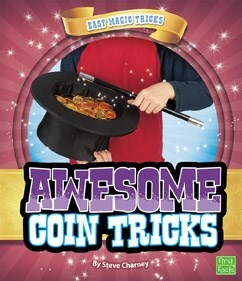 Get ready to learn the real secrets behind magic coin tricks. Then amaze friends and family with tricks like Flipped Out and The Coin Drop. Shuffle, cut, and fan the deck. 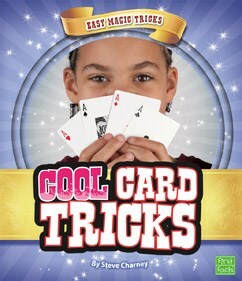 Get ready to learn the real secrets behind magic card tricks. Then amaze friends and family with tricks like The Four Pirates and Aces on Top. Who knew a napkin and a straw could be so entertaining? 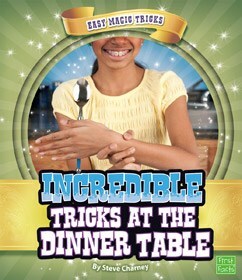 Get ready to learn the real secrets behind dinner table magic tricks. 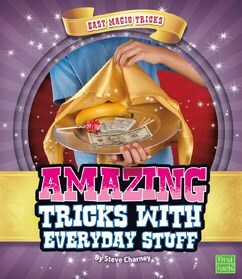 Then turn mealtime into a magic show with tricks like New-Again Napkin and The Last Straw.